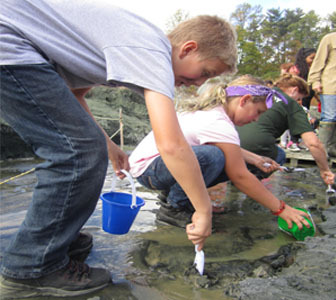 Based on the belief that all children are willing and capable of learning, our mission at Mullica Township Schools is to provide the best educational experience in a safe yet challenging environment that fosters independent thought and creative thinking while recognizing, encouraging, and accepting similarities and differences. 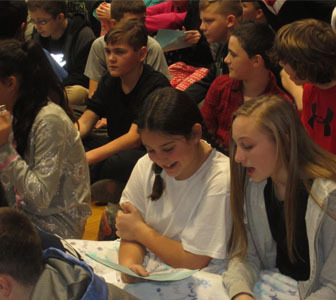 Mullica Township Schools aim to: Create an inviting learning environment that blends an assortment of instructional techniques while accepting all learning styles and abilities. Inspire our students to become global competitors who make responsible choices while building a strong sense of community. Cultivate life-long learners that embrace the value of education. Our children are our future. I strongly believe every aspect of our school must reflect a forward thinking perspective. Our children must be cherished, challenged, and supported to reach their full potential. Children will learn when a community empowers students with the requisite skills and resources necessary to access a lifetime of success. Every single person connected to a child has a role to play in the academic, emotional, and social development and success of our students. I passionately believe the entire school community must serve as role models for our children. Adults must exemplify characteristics of compassion, forgiveness, good citizenship, honesty, humility, integrity, kindness, and respect. I firmly believe students should be provided multiple opportunities to learn in ways that meet their individual needs. Differentiation and highly effective instructional strategies should be employed on a consistent basis. It is my role, as the leader of the district, to provide opportunities for students and staff to demonstrate success in the avenue which best suits their teaching and learning styles. I will support our public school system and provide professional development and resources to ensure a bright future. The individual academic, emotional, and social needs of our children are non-negotiable and should be the priority of the entire school community. I believe a passionate and dedicated school community can accomplish great things and will help ensure a foundation of success for our next generation of leaders. Address: 500 Elwood Road, Elwood, New Jersey 08217. NOTE: Some GPS devices may list our address as Hammonton, 08037.